When Acknowledgements are enabled in the site settings, people can accept or decline a shift assignment. 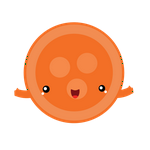 Most sites that enable acknowledgments also adjust their site settings to enable calendar icons, which indicate shifts that have not yet been acknowledged, and those that have been accepted or declined. Unacknowledged—A blue and white square indicates a shift that has been assigned and is waiting to be acknowledged by the assignee. 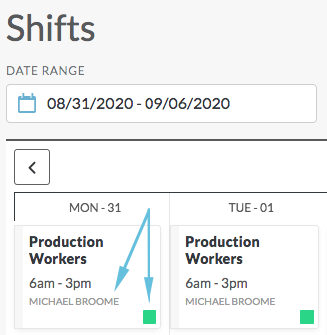 Assigned—A green square indicates that the person who is scheduled to work this shift has acknowledged the assignment, either by accepting or declining the shift. 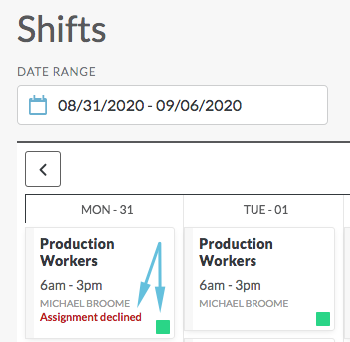 In cases where the shift has been declined, the status icon remains green, and Assignment declined shows up in red below the person’s name but does not change the green status icon. Note: For a complete list of shift status icons, see Viewing the Calendar. Note: Acknowledgements must be enabled or you will not see the blue icon. 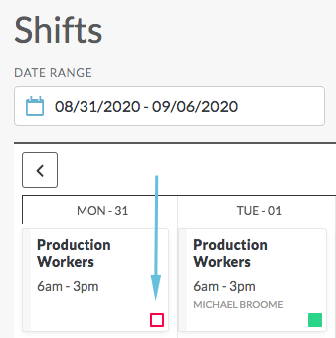 Once the Acknowledge button is clicked, the shift status changes on the calendar. 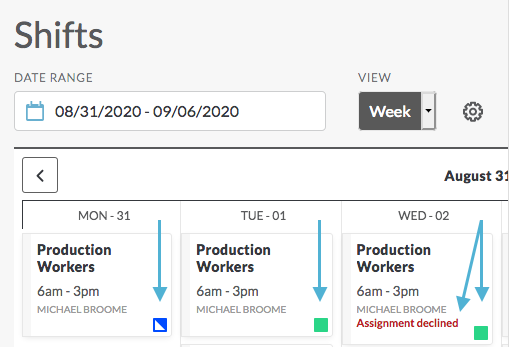 If the site setting Acknowledgement Notification > Unconfirm on Acknowledge: Decline is set to No, then the person will remain assigned to the shift, and the shift will show as open on the calendar with the words Assignment declined below the person’s name. 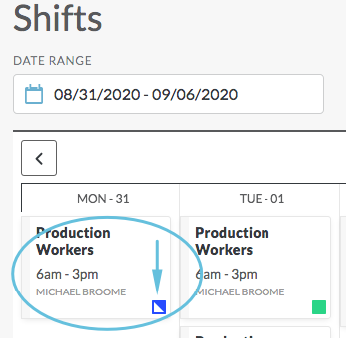 Note: Until this person is unassigned from the shift or the shift is assigned to someone else, it will continue to show on the calendar as being assigned to this person (see Assigning Shifts). 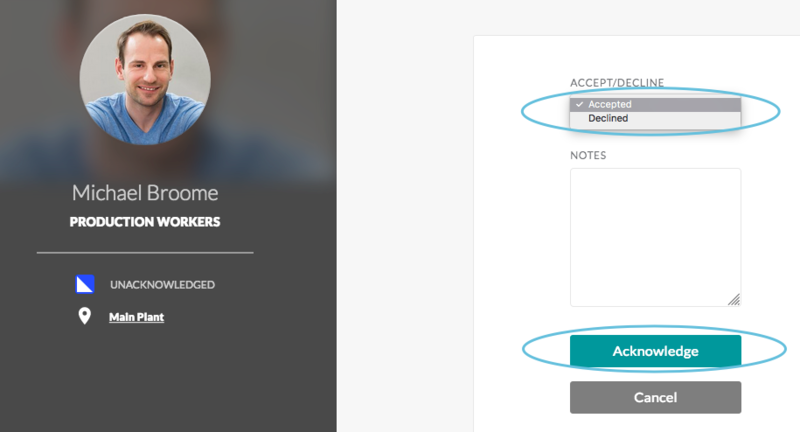 If the site setting Acknowledgement Notification > Unconfirm on Acknowledge: Decline is set to Yes (Use Standard Cancel Period), and the person declines after the cutoff deadline, then they will remain assigned to the shift, and will receive an error message. If the site setting "Members can Modify Acknowledgements after Accept/Decline:" is set to Yes, then people can decline a shift after previously accepting it. Note: the setting “Allow Acknowledge Decline” must also be set to Yes. 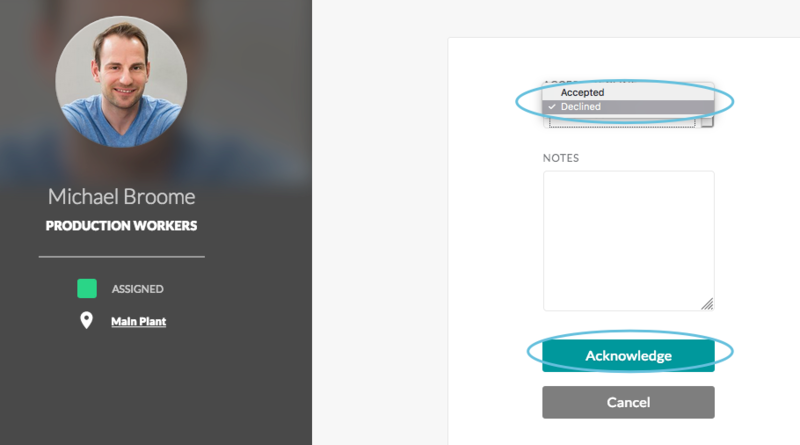 If the site setting "Members can Modify Acknowledgements after Accept/Decline:" is set to Yes, then people can accept a shift after previously declining it.